Holmes replied: "Watson, you idiot. Someone has stolen our tent!" And in the same way today we want to look up, but we can’t just look up, we have to realize what we need to see: We need to see Jesus and that should inform how we live. Often times we can notice so many things in life, but we fail to see the obvious, just as Watson failed to see that the tent had been stolen. Today we’re looking at Colossians chapter three, so you can open your Bibles to there. We’ll be specifically addressing verses 1 through 4 and their outworking in connection to verses 5 through 17. And we’ll begin with a word of prayer. 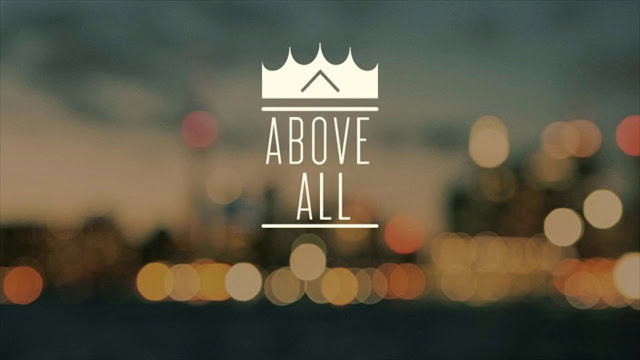 Colossians 3 verses one through four says: "Therefore if you have been raised up with Christ, keep seeking the things above, where Christ is, seated at the right hand of God. Set your mind on the things above, not on the things that are on earth. 3 For you have died and your life is hidden with Christ in God. When Christ, who is our life, is revealed, then you also will be revealed with Him in glory." This is the foundation of everything we’re talking about here: Focus your mind and thought process on Christ who is seated above in the heavenly realms. 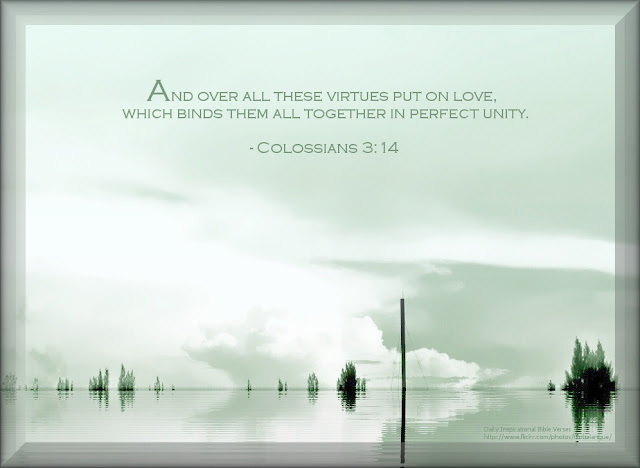 Turn your eyes to Jesus, the rest of the teachings in Colossians 3 rest on these verses. Next, we recognize that we are dead in Christ. Your dead. And your life is hidden with Christ, where He is now. And finally, focus on the reality that Christ is coming again, and that at His revealing, you will be revealed as you truly are. That’s what we all wait for, and long for, the return of Christ. Given all of that: Since you are dead, consider all the sinful attitudes and actions of your old self to be dead as well. Put aside: “immorality, impurity, passion, evil desire, and greed, which amounts to idolatry.” Why do we put these things aside? Because they are the reason that the wrath of God is coming, in the future. But I think the key issue here is that we think: Can we really do this? It’s so hard to fight temptation. Can we really live a holy life? The answer is yes: Why? Because don’t forget, we’ve been born again, we are new creations in Christ. I know this, because I’m different than I used to be. I used to live a very evil life. Today I live a good life, not perfectly, but I try to pursue holiness. The reality of Christ is what makes this possible, because we “have put on the new self who is being renewed to a true knowledge according to the image of the One who created him.” (Verse 10). So your soul is being transformed into the image of Christ. We don’t have to walk in sinful lusts or evil desires; We’ve been set free. Paul in Colossians 3 so far has taught us what not to do, so what are we supposed to do? Just as we’ve put off those evil desires, we want to “put on a heart of compassion, kindness, humility, gentleness and [patience; bearing with one another, and forgiving each other.” (Verse 13). Paul continues indicating that holy living means forgiving others, because God has forgiven our past sins. So we don’t have the luxury of holding grudges or holding onto sins done against us. We have to forgive them, totally. We see various principles outlined: Compassion, humility, patience and so on. But there is one principle that rises above all the rest: It’s love. Put on love. Love is the culmination of all these principles. Verse 16 says, “Let the word of Christ dwell richly in you.” And verse 17 concludes: “do everything in the name of Jesus.” Study the word of God, and whatever you do, do it for Christ. That’s a real mindset we can have. So the big take away is to try and remind ourselves as we live, that we are born again, we are new people. The old self is gone, dead. And so as new people, we are to live in holiness, setting aside sin, and putting on righteousness, exemplified in love. Cultivate those attitudes in your mind, and when sinful attitudes boil up in your heart, and they will, counter them with the love that flows to you from the throne of Christ. Turn your eyes to Jesus, and set your mind on things above.